A lonely boy becomes best friends with a vampire. 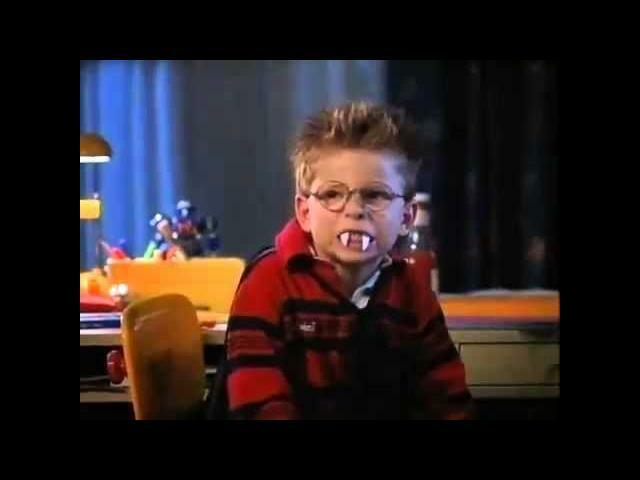 Anton Bohnsack, an ordinary 9-year-old boy, loves horror stories, especially about vampires . One evening, he suddenly finds a real vampire sitting on his windowsill who is out for a snack, but when they discover a common ground in their love for vampire stories, they quickly become friends. In time, Anton learns that his visitor, who goes by the name of Rüdiger, is actually part of an entire vampire clan, the Schlottersteins, who reside in a hidden crypt in an old part of the local cemetery. Little by little, Anton gets to know others of Rüdiger's family members, especially his younger sister Anna and his older, moody brother Lumpi. Based on the popular books, the story tells of Tony who wants a friend to add some adventure to his life. 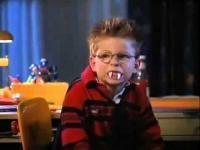 What he gets is Rudolph, a vampire kid with a good appetite. The two end up inseparable, but their fun is cut short when all the hopes of the vampire race could be gone forever in single night. With Tony's access to the daytime world, he helps them to find what they've always wanted.